For thousands of years religious dogma and tribal superstitions kept scientific thinkers in a locked box. Many outspoken scholars were executed because their scientific findings were looked upon as heresy. It is only in the past two hundred years that free academic study of science was allowed to flourish unhindered by ancient religious doctrines. Once academic scientific studies were established they rejected and ridiculed anything spiritual or metaphysical if it could not be proven by a mathematical formula. Even in today's world a few professors and scientists are closed minded to anything that resembles spirituality, but things are changing at a very rapid pace. Just as religion had to succumb to scientific knowledge, so now, science is beginning to unravel the mysteries of the universe with Quantum physics and their latest findings are stretching science into the realms of metaphysical spirituality. After all is said and done, there can only be one truth that explains the creation/evolving of the universe, but there may be many pathways, within one truth, that will explain humanities curiosity of the cosmic puzzles. Quantum science is going beyond the probe of atoms, photons, neutrons, quirks and exploring a newer string theory (dancing, unobservable, vibrational waves of energy) and membrane theory (Multiple universes, carved up into slices, living side by side, all conduced by? ). Together they give room to explore what is know as the M-theory which is undertaking to prove the unity of Gravity, Electromagnetism, Weak and Strong nuclear forces. The deeper Quantum physicists explore, the closer they encircle metaphysical philosophy. They are realizing there are higher realities within infinite dimensions of intelligent vibrational energy. Ever since humans could look up at the stars at night they have pondered the mystical magic of the cosmos. Many great ancient dynasties such as the Egyptian, Greek, Roman and Chinese debated the awe and wonder of the heavens. Brilliant, illustrious philosophers such as Plato, Aristotle, Confucius and many more, have talked about human kinds connection to the invisible eternal flows of energy that govern the Cosmos. And now, within the next hundred years, mathematical proof will uncover the connection between science, philosophy and spirituality. It seems string theorists have uncovered eleven dimensions to our universe. Some Quantum Physicists even go so far as to state the dimensions of the universe may be infinite. At the same time they are theorizing on parallel universes that live side by side with our universe. Perhaps an infinite number of universes? If this is proven to be true it will explain why our world was not formed by chance, for if there is an infinite number of universes, then it stands to common sense at least one would contain intelligent life as found here on earth. It can be no fluke, because of the infinite variety of universes. The formula to create our universe must differ from each and every other universe, in the same manner as no two humans are identical and each has their own free will to act within an inescapable framework. The chances that there is another earth similar to ours in another universe are very slim indeed, for if there are two identical universes, one would be enmeshed in another, unless of course the universes are holograms of each other in different dimensions? But that would not give a variety of different universes and that seems improbable. Even on the more basic levels medical science is engaged in many studies of spirituality within the fields of neurology, psychology many other sections of medicine. Mental illnesses that may be caused by stress and erroneous thoughts are being treated with many alternative, spiritually related treatments, which were rejected a few years ago. At every level, open minded professors, scientists and physicians are welcoming metaphysical philosophers and spiritual masters to help in the quest to eradicated disease, pollution and many other ills of human kind. All the resources of humanity will be required to solve the mysteries of our universe and beyond. As long as all lines of communication are kept open and no learning institution will favor one subject; namely science, at the expense of neglecting metaphysics or spirituality, then the world of Quantum Metaphysical Spiritual Science will blossom and bloom.... Humanity can at last realize they are one harmonious unit within a unified symphonic universe..... Maybe that unity on earth will make Albert Einstein a very happy camper as he looks at earth from his eternal cosmic home? Do you remember that nursery rhyme? Well, how about we find out how our organic brain grows and develops .... Then we can gracefully nurture it, so that it blossoms and blooms as a radiant rose. Inside our head there are various departments, compartments, areas and domains that contain information.... All these different compartments are connected to each other and are competing for attention to get access within our central ‘thought-of-the-moment.' For instance, we may have two itches at the same time. One in the foot and one in our nose and the strongest itch will take center court. So it is with all our other thoughts. A tranquil joyful thought, that may be meaningful, could be overrode by a stronger angry negative emotion. Whatever congests/inspires the mind, will deplete/nourish the body. Our mind accommodates a vast network of intelligence all vying to be admitted into our consciousness. Some of the intelligence has been accumulated in our memory banks over time, whilst other forms of intelligence are transmitted into our headquarters from different parts of our body. The five senses also play a big part what thoughts we are thinking. As we observe events going on all around us, our mind processes the information our sight, sound, tastes, touch and smell relay into our minds. Other people's actions/words, which we come into contact with, can also have an effect on our digestion of information, as do the media, education, religion and everything we observe on a daily basis. All the information is constantly being collected, processed and transmitted into our conscious thoughts and then, the thoughts themselves cause a reaction in every part of our body......How do I know all this? Simply by paying attention to how my mind/body functions......Just like Mary, Mary, I want to know how my garden (authentic, organic mind) is growing and what I can do to make it produce a joyful, loving bouquet of thoughts. And I must admit, I have become very skilled in-deed, and I enjoy every moment, in a most delightful manner. One hundred years ago there were no wireless sets, TVs or Internet, so events that happened in other parts of the country and the world took a long time to come to our attention. In many cases they were not noticed by the average person, so atrocities committed in other places had no effect on our lives...Hence the saying ... ignorance is bliss. In today's world, the hunger for information is magnified by a media who are hell bent on reporting all the dregs of humanity it can find. Any true philosophy of life, that can help folks enjoy their lives on earth, is ignored and neglected. Some sections of the public are now (mistakenly) trained to feast on other people's downfalls and derogation. More demand for negativity fabricates ... more sick minds and bodies. So, I think you will agree, keeping a ‘cool-head' when all around you are ‘heating-up' is no easy task in a three dimensional world. Actually, if we view the three dimensional world as our only world, it is impossible to keep our minds balanced and clear at all times. Sooner or later we will become enmeshed in all the media hype and hooked onto an erroneous lifestyle. Happily, for humanity, the third dimensional world is only a minor part of a much bigger picture. When our thoughts-detector is directed to a superb well of information, that is infinite in scope and eternal in source, then we are no longer at the mercy of our intellectual department-faculty within our minds. This gives us freedom of the mind We begin to understand, we can control our emotions and feelings by having the natural power to process what thoughts we allow our minds to project. New creative thoughts overtake pre-consigned stale thoughts and old conditioning is replaced with new fresh invigorating visions that take center stage. This allows us to enact a performance of a lifetime on earth, reverberating in generic blissfulness. Mary, Mary, now becomes a contrarian on a blissful journey. How does her organic garden grow? It develops in a most delightful display of illuminating neurons that transmit good health to every cell in the body and mind. It cultivates a oneness with every plant, ocean, mountain and life composition. It matures centered and well balanced at a Hippocampus foundation. An opus, collected in a pure essence of truth, filters in every compartment of the organic mind. Where there was blindness, clear sightedness reflects authentic visions. The whole organic mind has come-alive and bright. The intellectual brain understands it has been formed to celebrate life. It travels on the highway of joyous textures and loving tones. It surrenders to the orchestration of life that has been composed by a master artist. Yes in-deed, the garden of the human organic mind ripens with many golden belles and delightful innovative shells, set up in a transcendent lifetime show. Can there ever be anything in life that can be classed as a dead cert? I was recently watching a horse race on NBC TV. A horse named Smarty Jones was a 1-5 favorite and designated as a dead cert by most of the experts in the racing world. The horse was running for the third leg of the Triple Crown and if it won it would have been valued at $50,000,000....Alas, it was pipped at the post and millions of fans were let down and disappointed. How many times have we heard from people who say they came close to winning a fortune? How many times do people make their expectations too high only to come down to earth with a large bump! The elusive big fish that got away. Yes, life holds no guarantees apart from one...Death. The only one thing we can be assured is that someday we will leave earth in our physical form. If our life is lived filled with resentments and bitterness because expectation did not materialize in the manner we envisaged, then that life is traveling on a fools errand. It is fooled into thinking everything should be handed to us on a plate. We only have to follow the advice of so called experts and then everything will work out just fine and dandy. Once we have been led to believe we should accept the predictions of experts in the outcome of future events, then most times if we follow them and they fail, we are encased in blame and resentfulness. Many times we will blame others of our own misjudgments. The experts are not to blame if we blindly follow their predictions, for even if they mean well (and most do) they are only as good as their source of information. If that source is only their intellect, then the chances of success will be slender, for that source may come from a confused and fallacious origin. An intellect that is not guided by universal intelligence is an unaware circuit, certified by its own circuitry..... Definitely not one to follow. It is often said that if something looks too good to be true it often is. So, if we cannot depend on the experts, who can we depend upon? Well, the answers is, only ourselves, because nobody has a more vested interest in our well-being than ourselves. With this in mind we must become diligent and prudent within the resourcefulness of all our actions. For instance, just because an expert tells us s/he believes the stock market will go up does not mean it will, no matter how many time s/he has been correct in the past. Looking in the rear view mirror can help us overcome past mistakes, but it cannot ever guarantee future outcomes. Whether we are chancing our luck on a horse race, the stock market, our job, or marriage, the gamble is considerable and nothing can predict the fruits of our harvest. However, if we remove the word gamble and chancing from our vocabulary and replace them with an awareness of possible dangers and strategies for prosperity, then perhaps we can prosper and flourish in most of our aspiring goals. We take the gamble and chance out and replace it with astuteness and clear-sightedness. When we get advice from smarty-pants experts we should thoroughly research ever aspect of what the future possibilities may become and allow for unforeseen circumstances. There could be developments when we may need to take risks, but if we are armed with the knowledge of almost every possible outcome and we have contingency plans in case things don't turn out as anticipated, then we will be a true favorite that cannot fail overall. It does not mean we will not make mistakes, because everyone will experience misadventures. However, from each misfortune we gain resolve and fortitude that brings success in other areas of our life. When one door closes we learn how to open two more. Misfortunes start to produce the energy and determination to find fortunes elsewhere. No-thing can hold back the passions of authentic human potential that are ignited by the spirit of true intent. The secret ingredient is our intuition and that should not be guided by our ego's wants and desires. We have no need to keep up with the Joneses or to outsmart other people. We should not become a donkey who is tempted by a carrot of easy money. It is essential that we look beyond the normal herd mentality and focus on an energy force that cannot be located in physical form. It is shaped by love & joy. Only those two essential authentic compositions can orchestrate our medley of successful well-being. No intellectual philosophy, dogmatic religious text or cool scientific knowledge can replace the authenticity of what has naturally been assigned within a human mind. We have everything it takes to become a shining light within the illuminated brilliance of the human race. We just need to become skillful in switching on our radiance. In Synchronicity with each other, we can light up the world. The Philosopher In The Gut. All golf cubs must abide by the rules of golf laid down by The Royal and Ancient rule book. I remember a debate that raged in Manchester UK some twenty years ago. The question was when should the golf course be closed by inclement weather. The debate went on for many years as many members did not take kindly to the whims of the green keeper, the golf pro or the different captains the club had each year. Then a wise man came up with a suggestion...Let the course close itself. If the weather is so bad that the cups fill with water and the greens become water logged, then it becomes impossible to play golf. If there is a snow blizzard how will anyone be able to hit a golf ball.....So naturally, the course will close itself. This settled all the debates and so it came to pass a local rule was brought in ..Nature would decided if the course was playable. The course would close itself. What is the source of happiness. What foods nourish the mind & body. What foods destroy the mind & body. As science advances it will no doubt find new methods of fixing up diseased bodies. It will also come up with new formulas to keep healthy, but why do we need new formulas when the simple wise and wholesome formulas work so well....What are they.....Let's explore! How about we bring in a new local rule that is as old as the hills.... ‘The mind and body will dictate what foods we eat and what thought we think." That seems simple enough does it not? It is simple, but it is so obvious that most people ignore it. If you eat a food that gives you indigestion, you are eating foods that your body does not appreciate, or you are eating to quickly, or you are in a stressful situation. If you are overweight you are eating too much food. Most probably it is high in fat or sugar. If you are not sleeping well there are events in your life you find difficult to deal with. The mind and body are united by a very complex and fascinating system. The human mind and body is a whole universe unto itself. I will not go into details about the fantastic systems humans have because I do not know how it all works within scientific details .....But I do know how to listen-in to it and keep healthy with the aid of universal, intelligent wisdom. The mind is connected to the immune system and it is in the gut that the immune system obtains much of its information. You could say the gut and the mind work in conjunction with each other to regulate the well-being of every cell in its body. Indeed, every cell is a universe unto itself and it accepts it has to work together with all the other cells in the mind a body to function as nature intended...If there is a mis-communication in the mind and body bond, certain functions will close down. The course of principled, reciprocating actions, will close itself down when the ego/intellect interferes with the universal circuitry, thanks to erroneous thought patterns. If the mis-communication carries on for a long period of time, more and more cells of the body will close down until eventually the whole system goes haywire and death is the final game played. The course of the mind and body has closed itself prematurely, ahead of its assigned, natural lifetime on earth. Stymied by a conditioned mind filled with man-made opinions, assumptions and theories that do not conform with nature. The circuitry of the human body is an incredible computer programmed by the texture and fabric of nature. The main communicator between the mind and the gut is the Vergus nerve, derived from the Latin word which means to wander. The mind wanders into the domain of the gut and likewise, the gut wanders into domain of the mind. Without exception, every cell in a human mind and body reflects in concert and they conduct in synchronicity with each other. It is the conscious mind that decides what foods to put into the gut. It is the gut that will send a message back if it does not like what the mind is shoving in it. They will both work to fix any malfunction, however if one small part of the brain, namely the taste buds dictates what is to be consumed and digested, it can wreak havoc and devastation in your magnificent universal system. The memory banks have been programed to spark tastes that require high fat and sugar and once programed they become the reference points when the stomach sends its hungry signals. To overcome past conditioning of harmful foods and thoughts a new identity is required that transcends programmed memories. By listening into the signals from the philosopher in the gut, a new regime of eating can yield amazing results in just a few weeks. Simply put....Just eat what your stomach requires...Just think thoughts that do not churn it.....Just enjoy natures bounty of wholesome foods and simple thoughts and observe how your miraculous universal body aligns with every star in the sky. The course of original nature will be open for you to follow all your life on earth....As you plant your thoughts, so shall you harvest the fruits of happiness. The bio-rhythm of genuine health is already orchestrated in every cell of your body and mind. Tune-into the guts wise, authentic intelligence and observe how you are transported into an open, trustworthy, life course. If you own a modern computer, you will know there is a maintenance wizard in your windows software. With a click of the mouse you can sit back whilst the wizard automatically checks out your computer for any faults. If it finds anything amiss it will correct it within a few seconds. The wizard will also remove any files that are not needed in its memory banks. Wow! what a wizard...Wouldn't be great if we had a wizard in our minds that could remove sickness and get rid of all erroneous memories. A whole lifetime of never getting sick.... Well, we do have such a wizard enmeshed in every human being. .....Just a minute, I can sense you are not believing what I am saying. Well, what I am saying does fly in-the-face of modern conventional medical science. Non-the-less, if you live in true joy, you will never get sick. What is he talking about I hear you say............I'm deep in debt....... my son has been sent home from school for being a disruptive influence.....my beloved aunt is dying of cancer ... the boss is telling me business is slow and he may have to lay people off if things don't pick up.....the roof is leaking and the dogs got diarrhea....There is also a hundred and one other problems piling up on the back cooker. Quite so, everyone will be faced with problematic challenges every day of their lives. That is all part of the human experience of living in a modern day world. The main problem is, the world we live in is no longer natural. It has become perplexingly plastic and sophisticatedly complex and if we accept it as our reality, we will have no chance of living a healthy dis-ease free life. Simplicity is the answer to many problems but when given a choice of an easy way or a hard way to solve a problem, most "normal" people will take the hard egoistical route. Why?....Because they live with an egotistical, intellectual master/monster and it is his/her way or no-way. But, what about God..... Isn't 'he' supposed to help us live disease free? If he is watching over us why is ‘he' not listening to our prayers. Why is he slinging a deaf ear? Why is "he' allowing such suffering to all the kind innocent folks who are asking him for help. As with everything else in our lives the answer is simple but unacceptable to the conditioned minds of "normal" unnatural people. The Male God does not exist, that is why "he" cannot perform miracles and has not been seen nor heard from since the days of superstitions, fables, yarns, folklore and myths. But ‘he' has been planted into the conditioned minds of robotic humans, who never ask profound questions that need truthful answers. Blind be-lie-fs will lead the followers into blind wars and blind self-inflicted-disease-destruction. However; there is an infinite power that creates, organizes, nurtures, cultivates, nourishes and evolves all life forms animate and non-animate. We can call that intelligent energy God, but it does not require prayer because it has already given us everything we will ever want to live on earth in health, wealth, happiness, peace, serenity and harmony. When human beings began to create their own individual power base to protect themselves from other tribes, all of mans modern day woes began. The old saying "united we stand, divided we fall" are amongst the truest words ever spoken. And we will never be united as long as we are segregated by diverse doctrines of funny, bazaar, freakish man-made Gods. If people aren't killed in wars they will most certainly kill themselves by an inauthentic lifestyle. If they die of dis-ease, then in most cases it is a self inflicted illness, brought on by erroneous, negative thoughts. Wow! What's happened to the maintenance wizard? Have no fear, the wizard will not ever go away. It is part of who and what we are and it can repair all ills if caught in time and will delete all invaded programs if you allow it to perform its divine magic. All religions contain truths but they become distorted and erroneous once a human image of God materializes...God is Not in human form and a human being has no more rights to an existence on earth than a worm or ant. All life is formed from natures intelligence and all are equal in true essences of intelligent cosmic energy. Our maintenance wizard is labeled ‘soul' and it is the most misunderstood word on the human tongue. The soul possesses no negative emotions. It embodies feelings of love & joy in realms of intelligent non-visible indestructible energy. When we are aware of this life creating force we live an authentic life on earth. We live as an ego being guided by the soul wizard and that makes us true human beings. What about the guy with all the problems to solve who says he can't live in joy? Firstly he needs remove his debt mountain of woes. Once the wizard gets to work the debt will vanish.....because s/he will understand it is not an option. If s/he can't afford non-essentials, then s/he does not buy them and s/he lives more simply, until the debt is paid off. Then, when s/he has saved up enough reserves s/he can spend some money on a few luxury items and just as long as s/he never, ever goes back into the red, s/he will enjoy the wealth nature gives everyone for free. As for the problem with the son that got sent home from school....He needs to detach from the conditioning the parents have most likely have taught him. He must now learn he is going to school to enjoy his learning and if the teachers do not know how to teach, he can become their mentor by excelling in all his subjects despite their lack of wisdom. He is powered by the soul wizard who has no human form and can never be overcome by pride and egoistical human non-sense. Now, instead of being a disruptive influence, he becomes school leader, even if the other pupils and teachers cannot recognize it. Self-empowerment is not beholden to the opinion of others. At-the-same-time he is never rude or disrespectful. The real God within is in action and cannot be overcome by mortal stupidity. No buildings or holy books are needed to be guided by the maintenance wizard. Everything is already programed in the subconscious mind and will click into action after the mind has rested in silence of a short period of time. The boy becomes a man of sincere heartfelt character and honest reputation. What about the beloved aunt who is dying of cancer... Visit her in a state of happiness and joy. Understand there is no such thing as death in the real sense of the word. The wizard within is the true identity of every human. It is a speck of energetic, intelligent nothingness that contains everything. This is our own true selves and it is the maintenance wizard that can fix our mental computer so that we can run on full power and vitality in perfect health. If the aunt has not gone down the path of illness too far, then there is a good chance she can recover from her illness, once she accepts her true identity. However, from my experience, when a person has journeyed down the wrong path for along period it is very difficult for them to re-arrange their thinking and mind conditioning, once illness has taken a firm hold and the mind has been weakened. It is far easier to prevent illness than to fix it when it strikes. The maintenance wizard will not let its computer down if it is allowed to carry out its mission with freedom and support from the mind and body that carries it. As for the roof that is leaking....ring up a roofing contractor and let him use his roofing wizardry to fix your roof. Before you contact him, go around the neighborhood and find houses with new roofs. Knock on doors and find the best contractor who does the best job at the most reasonable price. You can be sure his wizard is in good working order. We still have the dogs diarrhea to clear up. Well....there are many messes that happen in our lives and sometimes we just have to roll up our sleeves and clear up the muck left by others. Just be thankful we're not elephants keepers. © by Michael Levy. All rights reserved. Michael Levy was born in Manchester, England on the 6th March 1945. After many life experiences and a successful business career he retired to Florida in 1992. In 1998 Michael established Point of Life, Inc., as a vehicle to project his philosophy and spiritual understanding. The website www.pointoflife.com and the associated newsletter (Point Of Life Global Newsletter) are visited and read by thousands of people around the world every month. Michael is a frequent speaker on radio, television (just a few examples UK; BBC, ITV4..USA; NBC, C-Span, ABC, Howard Stern Show) and he is now a host on Voice America.com radio. He also holds frequent seminars sharing and discusses his views about the purpose of life, finding the peace and enjoyment that lead to a healthy, stress-free life. 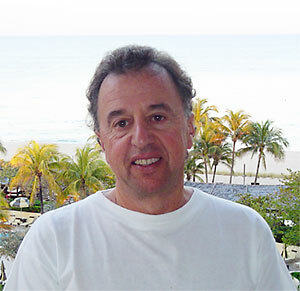 Michael Levy - Author, Poet, Philosopher. In just a few years he has become a world renowned poet. In 2002 Michael was invited to become a member of the prestigious Templeton Speaker's Bureau. The Royal Collage of Psychiatry has recently published two of his works. He has recently become a host on the Point Of Life Show at Voice America.com. POBox 7 3032 East Commercial Blvd. All my weaknesses are as equally weak as each other and non can claim greatness. This book is dedicated with love to the Six Billion people that live on our planet earth. It has the power to bring Health, Wealth and Joy to all. To live in a state of quiet, peaceful contentment. It can bring Joy and Happiness into the lives of people who have forgotten what life is truly about. "Minds of Blue, Souls of Gold" is an easy to read book. It is a book that can be read on a regular basis, which will affirm the basic thoughts of joy within our inner-self. In today's world, we need wisdom. Intellect is not enough to overcome the pitfalls of the modern world. Wisdom is not taught in Schools. It is a quest which we learn each day of our lives. This is the third book in a trilogy which can help shine the torch of enlightenment. Are we ready for the journey of a Life----Time? Invest With a Genius - Michael's newest book. There is a formula for true success that cannot fail! Each person embodies a wealth of information that can locate wisdom, leading to true prosperity! Successful living means an abundance in health, wealth and joy!